Dr. Ira Stone founded Stone Veterinary Hospital in 1995 with a dedication to provide the people and animals of Connecticut with compassionately advanced veterinary care. Still to this day Dr. Stone upholds the highest standards of veterinary medicine and care to ensure each patient that comes to our facility leaves in better health. As a native of Woodbridge, Connecticut, Dr. Stone holds a special place in his heart for the people and animals we help at our hospital. Since an early age, Dr. Stone has been passionate about helping animals and providing them with the best medical services available. Some of Dr. Stone’s professional interests include internal medicine, alternative medicine, ultrasounds, and cariology. He is a member of the American Veterinary Association, the Connecticut Veterinary Medical Association, and the Litchfield County Veterinary Medical Association. Dr. Stone graduated from the University of Connecticut and Michigan State University as an undergraduate. He then went on to obtain his doctorate in veterinary medicine from Michigan State University in 1987. When he is not providing optimal care to our patients and clients, Dr. Stone loves going skiing, playing tennis, and mountain biking. He also likes to pass the time by playing guitar and listening to music. His wife, Sandy, is also passionate about helping animals and is a Veterinary Technician. Their daughter, Sydney, has followed in their footsteps and works with Marine Mammal Rescue and Training. At home, the Stone’s have 3 cats named Ally, Simon, and Juno, as well as 3 dogs named Berkley, Koda, and Whisper. 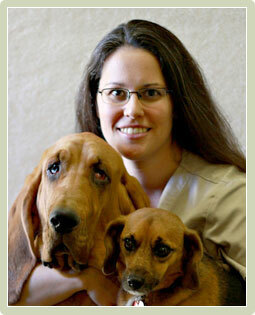 A general practitioner at Stone Veterinary Hospital since 2004, Dr. Christine Wasmer particularly loves interacting with the hospital's clients who love their pets. She earned her bachelor's degree in zoology from the University of New Hampshire and her Doctorate of Veterinary Medicine from the University of Illinois College of Veterinary Medicine. While there, she was a member of Phi Zeta, the honor society of veterinary medicine, and received several scholarships. 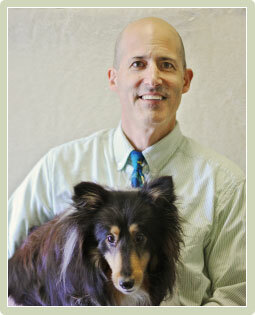 Dr. Wasmer is a member of the Connecticut Veterinary Medical Association and the American Veterinary Medical Association. Her professional interests include diabetes and renal disease. Outside work, Dr. Wasmer enjoys quilting and gardening. She has two Maltese dogs, Scooter and Jojo, and three domestic shorthair cats, Poco, Little Bit and Georgie. 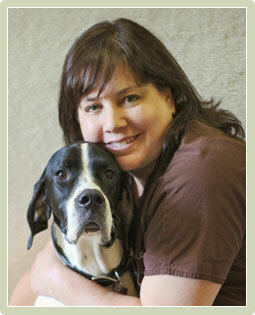 Originally from New York City, Dr. Karmen Couret joined Stone Veterinary Hospital in 1997. She earned her bachelor's degree in biology and German literature from Columbia College of Columbia University and her Doctorate of Veterinary Medicine from Cornell University School of Veterinary Medicine. She is certified in veterinary chiropractic and acupuncture and is currently pursuing her certification in Chinese herbal medicine. Dr. Couret is a member of the American Veterinary Chiropractic Association, the International Veterinary Acupuncture Society, and the American Association of Veterinary Acupuncturists. Her professional interests include acupuncture, chiropractic, Chinese herbs, and surgery. Outside work, Dr. Couret enjoys aikido, scuba diving, and horseback riding. She has two pets: an English pointer named Cole and an orange tiger cat named Harry. The Doctors and staff of Stone Veterinary Hospital are pleased to announce the addition of Dr. Shary Siksay. Originally from New Hampshire, Dr. Siksay has lived across the United States, Europe and Africa before settling in Connecticut. 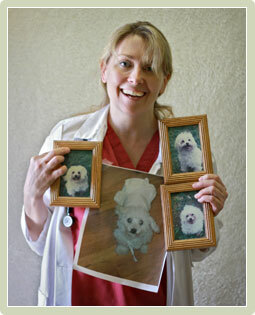 She attended veterinary school at the University of Pennsylvania College of Veterinary Medicine. Dr. Siksay's "extended" family includes a beagle mix named Kibbles, a Bloodhound named Agatha, two Siamese-mix cats, Edan and Ember and a Russian Tortoise named George. In her free time, Dr. Siksay enjoys training with Disaster and Wilderness Ground Searchers, a local search and rescue team, with Agatha. She also enjoys kayaking with Kibbles and hiking with both dogs. Dr. Siksay will be seeing birds, reptiles, aquatic species, small mammals as well as dogs and cats. Stone Veterinary Hospital was happy to welcome Dr. Alisa Jaroszynski to our incredible team in April of 2018. 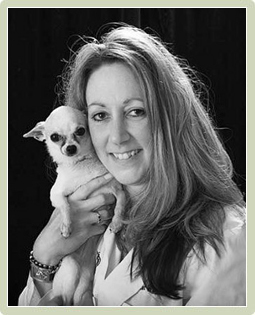 Dr. Jaroszynski studied Biology and Art with a minor in Neuroanatomy at Colorado State University for her undergraduate education, and then continued her doctorate in veterinary medicine at Colorado State University to graduate in 2000. She is a member of the American Animal Hospital Association, and the Connecticut Veterinary Medical Association. Some of Dr. Jaroszynski’s professional interests include preventative medicine and patient care. Away from the hospital Dr. Jaroszynski enjoys spending time with her spouse, Steve, who is a Graphic Designer by profession. She also partakes in competitive body building, enjoys art, seeing movies, listing to music, and following sports. Dr. Jaroszynski owns several pets including 4 dogs, a yellow Labrador named Paxton, a rescued mixed breed named Millie, a mini Dachschund named Webster, and a Chihuahua named Goo. She also owns two cats, a grey tabby named Wes and a short hair tuxedo named Monkey.